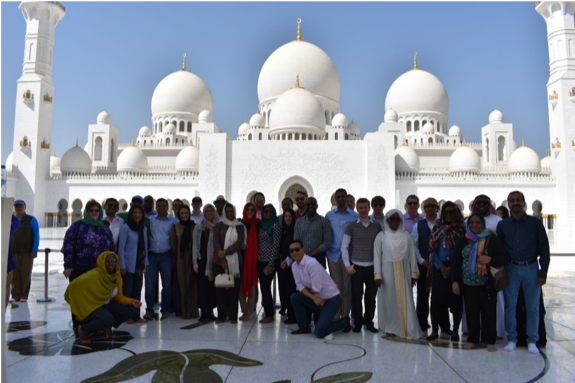 For a week in March, Professor Doug Bowman and Associate Dean Wendy Tsung led nearly 40 WEMBA students across Dubai and Abu Dhabi on a series of company visits and cultural experiences that broadened horizons and challenged preconceptions. Dubai captivated me in ways I did not expect. 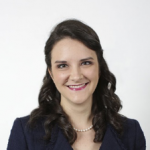 I anticipated the trip would be intellectually interesting — an exercise in “cultural awareness and global business exposure.” I expected to observe from an emotional distance. Almost immediately, however, the place captured my curiosity and, to my surprise, engaged me in ways I had not expected. Dubai is a place of contradictions and overlapping identities: simultaneously Eastern and Western, exotic and familiar, traditional and forward thinking, hospitable and exclusive. I found it very easy to get caught up in the image Dubai promotes: prosperous, progressive, shiny, new, open and busting. 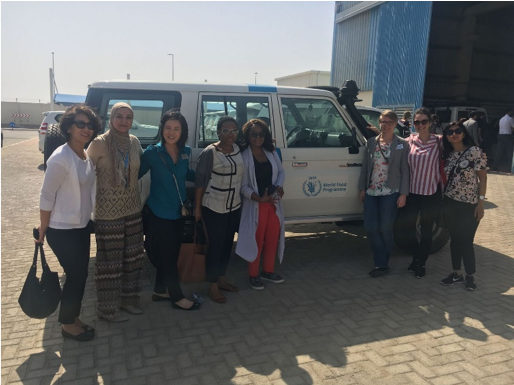 We visited Expo2020 — the building site for the upcoming world exposition — as well as the offices of Emirates airline, Cigna, SEE Nexus’ Sustainable City, Nakheel Properties — developer of Palm Jumeirah and The World Islands — The Coca-Cola Company’s MENA bottling headquarters, Yas Water World, UPS, and the UN Humanitarian Response Depot. 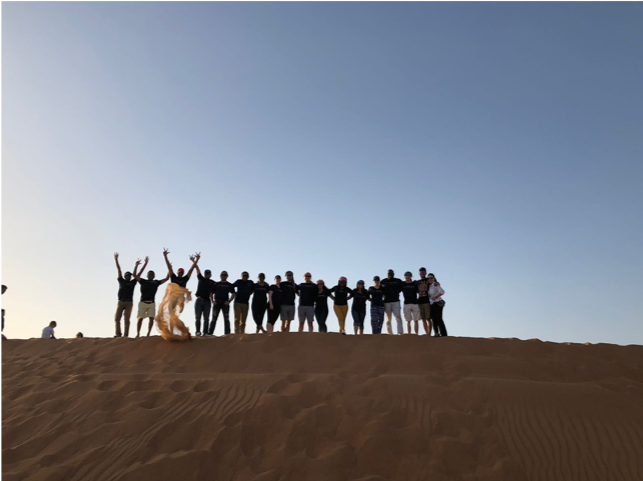 We also saw the sparkling new Louvre Abu Dhabi, the Sheikh Zayed Grand Mosque, the Dubai Museum, Dubai’s spice and gold souks (markets), and took a trip into the Arabian Desert for dune-bashing and camel rides. 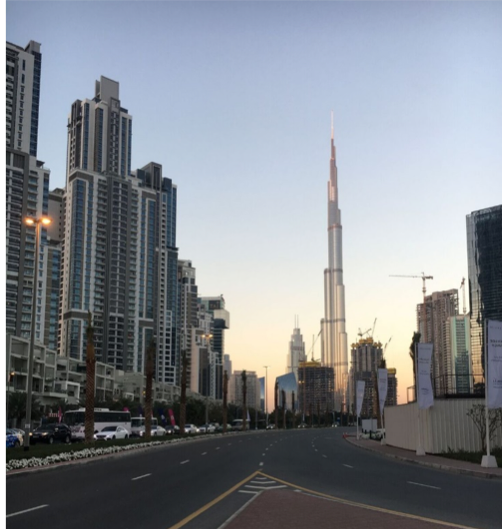 Tourism is big business in Dubai and it is a vast playground, but by visiting companies and talking with people doing their work there, we were able to experience the country on a deeper level. We had the opportunity both to see the glossy surface and the sometimes more complicated and ambiguous reality behind the scenes. One example: migrant labor is what keeps the city growing. An important moment occurred on my second night en-route to the Dubai Mall on the serene and comfortable hotel shuttle: passing a worksite, I observed a horde of the ubiquitous blue-clad laborers finishing their day and attempting to board a transport bus. The workers swarmed the bus and pushed each other out of the way in a frenzied attempt to get a seat. These workers were not confident that they had a place on the bus to return to their housing. We soon pulled away, but the image stayed with me through the visit as we observed workers at site after site. Dubai is incredibly welcoming to the right sort of visitors, but you must leave freedom of speech and protest at the border. Eighty-five percent of the population are expatriates; most residents are guests in the UAE and regularly reminded of it. But repeatedly, we heard from expats who planned to come to Dubai for two years but remained a decade or more. There is a pull to Dubai, its energy, drive, creativity and inspiration keep people there. It inspired several us, as well. In Dubai, we saw that the seemingly impossible is possible.